For transfers or planned admissions, the Children’s Transfer Center handles the details any time of day or night. The process starts with just one call. Please note: The Children's Transfer Center only coordinates patient transfers for inpatient admission or transfers to the Emergency Department. Transfer only those patients who require services that the transferring hospital cannot provide. Agree to promptly accept the return of patients once Children's has rendered the specialized services needed. Transferring hospitals will need to complete an inpatient transfer and agreement form before the patient is transferred, or for patients with emergent needs, as soon as possible after the transfer is initiated. The form must be completed by an authorized representative of the referring hospital. The referring hospital will be responsible for identifying a representative for signing, even during evening and weekend hours. Transfer of patients for scheduled or non-emergent services will be accepted only after the transferring hospital has returned the signed form to the Children's Transfer Center and payor authorization has been verified. 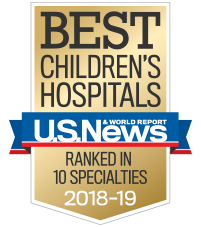 Whether a transfer is considered emergent or non-emergent is a physician decision, best accomplished with the referring physician and the accepting physician at Children's on the phone together, along with the Transfer Center’s registered nurse to document the decision. Fill out the Patient Transfer and Return Agreement and email to transfercenter@choa.org or fax to 404-785-7779. To streamline the planned admission process for physician practices on the Children's medical staff, the Transfer Center receives all patient transfer information, including the authorization details. Email: Download and complete the admission request form and email it to transfercenter@choa.org or fax to 404-785-7779.